Teenagers funny quotes typically focus on the amusing, endearing, and sometimes annoying qualities that make teenagers the unique individuals they continue to be regardless of the decade or generation in which they live. In fact, while times change and fads come and go, teen characteristics, preferences, and mannerisms remain surprisingly similar. Teenagers funny quotes can be used for a variety of reasons. For example, chorus concerts, proms, homecoming and variety shows often like to add short blurbs or skits in between acts. Teenagers funny quotes work perfectly for this type of show, with teens dressed up in funny outfits as they repeat quotes to the amusement of their audiences. Teens and drama go hand in hand, and any parent will agree that the best lesson a teen can have is to one day have teens of his or her own. The quote by Doug Larsen, "Few things are more satisfying than seeing your children have teenagers of their own" emphasizes this thought. Go to the source. One of your best bets is to ask teens for quotes. While you may need to sensor some of them, there are sure to be several you can use for whatever purpose you need. Still need help? Ask your local high school English department to help you out. This would make a great project for English classes. 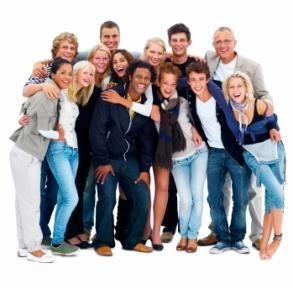 Invite teens to keep a journal of funny quotes and sayings they hear from their peers. They should write them down over a period of two or three weeks. They can then compare notes, compile the quotes, and create a booklet that you might be able to get a copy. Quote books- Visit your local bookstore or shop online at places like Amazon for a wide variety of books filled with quotations. For example, the Change Your Life Quote Book might have just what you are looking for. Another interesting book of quotes available at Amazon is the Poisonous Quotes Book by Colin Jarman. If you are looking for funny quotes for girls, then check out the book The Girls' Book of Wisdom. Buzzle- This site has a lot of funny quotes about teens as well, like one that begins, "A teenager is always too tired…" and another that starts "Having a thirteen-year-old in the family…"
Love Quotes- This site invites readers to submit their own funny stories about love. Some of the stories focus on teen crushes and unrequited love affairs. Some are amusing, and others bittersweet, but you may find just what you are looking for here. Indian Child- This site has several cute teens' and children's funny quotes, many of which sound like they came straight from a parent's mouth. Enjoy! Do you have a favorite quote you'd like to share regarding teens? Please do so in the comments section of this article.